Lawrence currently leads Acumen’s investments in the off-grid energy sector in East Africa. 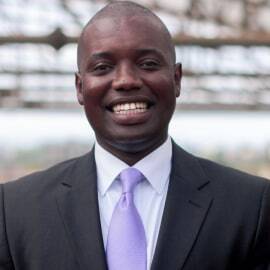 He is an investment professional with over 18 years’ experience primarily in the energy sector, ranging from off-grid solar and improved cook stoves to geothermal energy development, energy commodity trading as well as electric power utilities, and oil and gas pipelines. His career includes stints with Constellation Energy in London and Baltimore, as well as with the Power Investment Banking group at JPMorgan Chase in New York. Lawrence earned his MBA from Harvard Business School and holds a dual Bachelor of Arts (A.B) degree in Economics and Computer Science from Vassar College in Poughkeepsie, New York.